Weekends are tough sometimes! Being so busy during week days, my mind doesn’t focus on serious questions. I can only think in terms of time, food, see friends, go to gym, sleep. But then, on some Saturday mornings, I wake up having serious questions in mind. Like: does everything happen for a reason or we are the reason making everything happen? Or : do we all have a cruel side? One that enjoys seeing suffering and death? You might think I am crazy (and I am sometimes), but that last question came as an answer to an “event” I’ve attended. It wasn’t something I had wanted to see from the first day I came to live in Madrid, but then a friend asked me if I wanted to go. And I said yes. Not with a full heart, because I knew it’s not something easy to handle but yes, I wanted to go firstly because I am always testing my limits and secondly, I thought it would be a great subject for the blog. 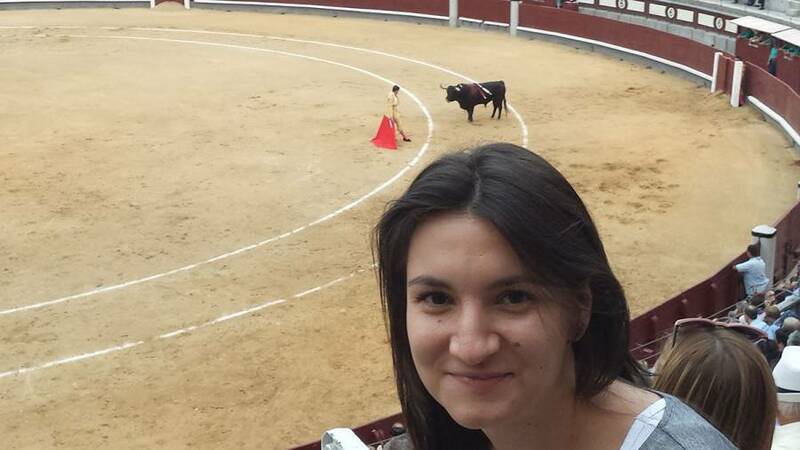 So I went to a corrida. 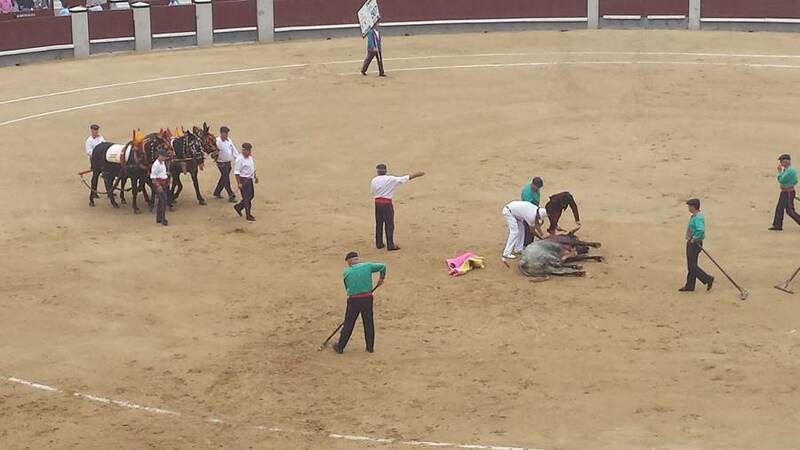 For the ones who don’t’ know the term, corrida means bullfighting. It’s a tradition shared by Spain, Portugal, south of France and a few countries in Latin America (Mexico, Ecuador, Colombia, Venezuela and Peru), in which bulls are fought in a bullring (arena). I warn you, from now on I´ll explain the procedure and I will add pictures. Don’t read it if you don’t have the stomach for it! 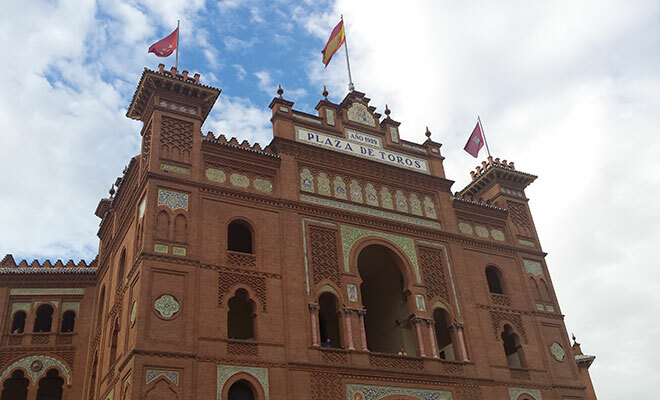 First step: Reaching Plaza de Toros de Madrid. 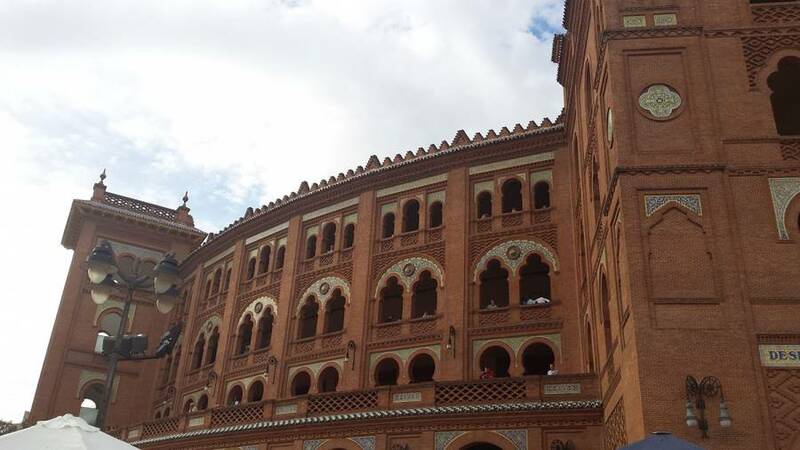 Gorgeous arena, with 25.000 seats, designed in a neo-mudejar (moorish) style. Second step: Going inside. 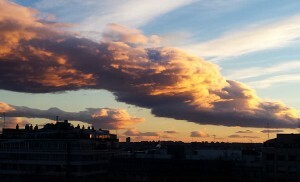 My friend wanted to smoke, we were early anyway, so we just sat a bit more outside, contemplating Madrid from up above. That made us miss the first 3 minutes of the show. Ok, not the best start of the show, I was already starting to regret it. 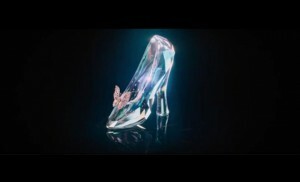 Luckily my friend and I were really interested in understanding the whole concept, and we talked to each other, kind of explaining what we understood from what we’ve just seen, so it was easier to survive on that seat. To make a long story short: a corrida has three parts (tercios) and the start of each is announced by a bugle sound. 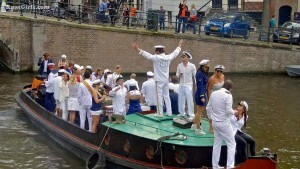 The toreros (matadores) dressed in golden suites (suit of lights) and theirs entourage enter the arena as in a parade. And after all this elegant demonstration, the massacre begins. 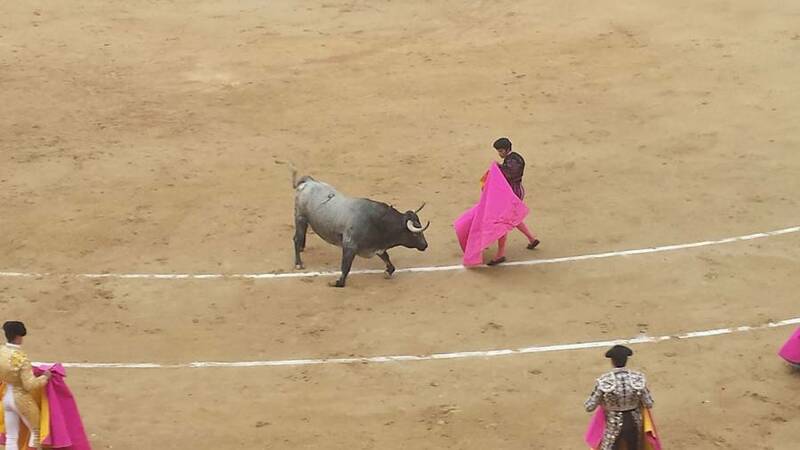 First of all, the matador and the bandilleros test the bull´s ferocity by confronting him with capes colored in magenta and yellow. This part is called Tercio de varas (“the lancing third”), probably because in this part a picador enters the arena on a horse and armed with a vara (lance), which he will use to stab the bull for the first time in a muscle from its neck, causing him the first bleeding. Thank God the horse wears protection..but I´ve read that even so, it can´t live for more than 2 corridas (the bulls’ horns penetrate the protection and cause serious harm). The second part is called Tercio de banderillas, when 3 banderilleros attempt to weaken the bull by planting two banderillas (sharp barb sticks) into the wound. The last part´s name says it all. In Tercio de Muerte, the matador caring just one red cape (muleta) and a sword (estoque) enters the arena in his seek for death. 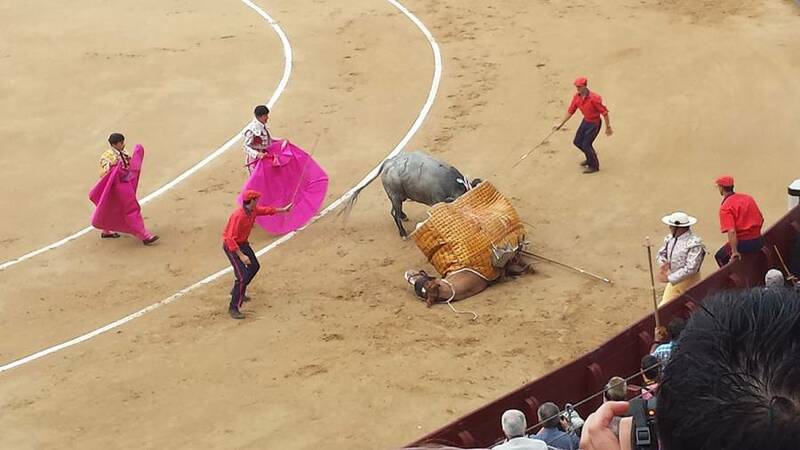 The matador uses the cape to attract he bull, in a series of passes, which have two meanings: to bring the bull closer for the kill and to create a faena (interesting display). 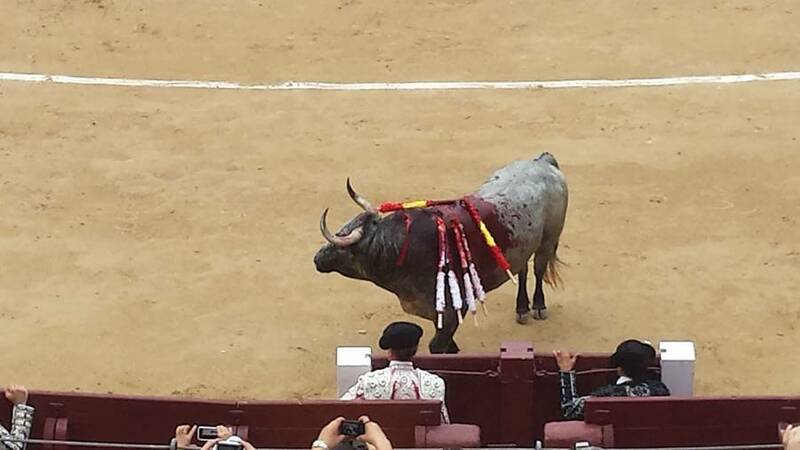 And now, as the end is near, he stabs the bull between the shoulder blades and through the heart (the aorta). Looking around me, I saw many tourists, definitely there due to curiosity but also Spanish people with their young children. This is something that I can’t understand. Why you, as a grown-up would want your kid to see death? Because I am pretty sure that at 5 years old you can’t understand the cultural part of it! I hhaven’tread anything about bullfighting before going to see it. I knew that I wouldn’t like it and eventually that would have made me cancel the attendance. The weird part is that I liked it in a way. 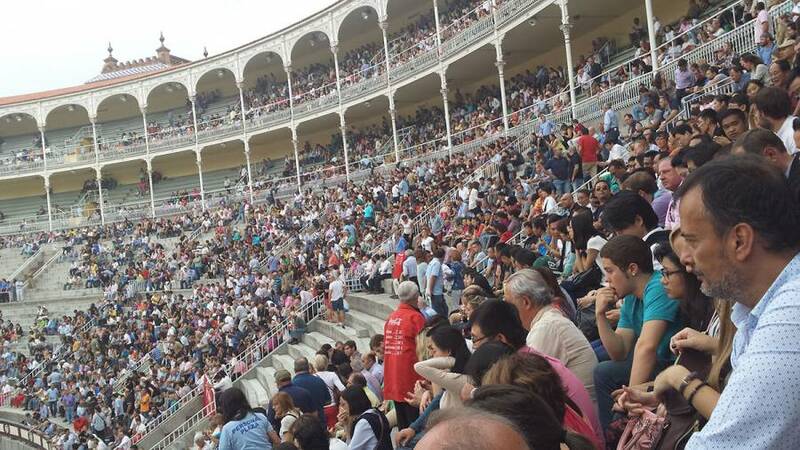 We managed to stay till the end, we got some explanations from a very friendly French guy sitting next to me and we focused on understanding the sequence of moves the torero does, the way he stabs the poor bull for a quick (or not so quick) death. 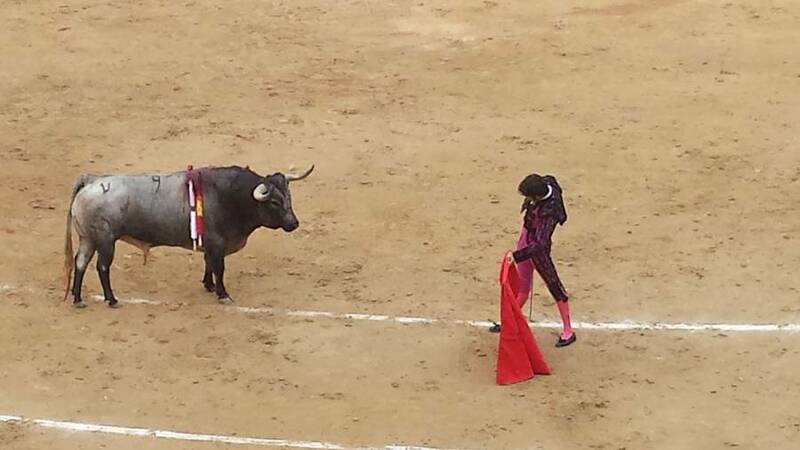 Yes I liked the fluidity of the moves that the torero does: it looks like a dancer with a yellow-and-pink cape. 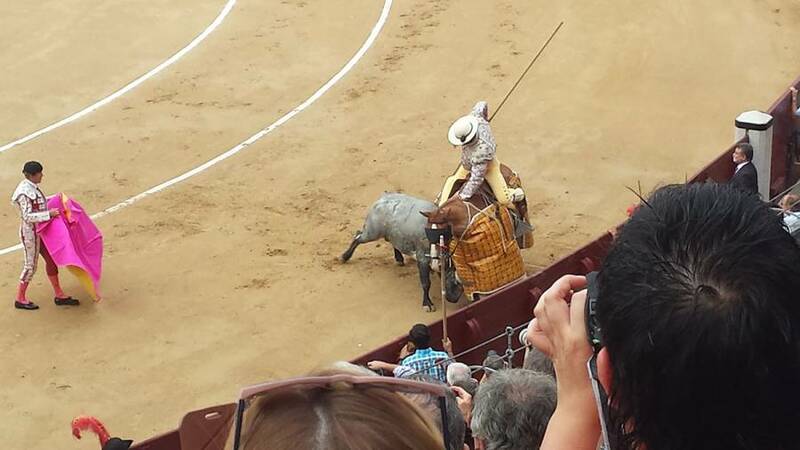 I appreciated a good torero, who with a perfect move, killed the bull in a second, sparring it the suffering. Yes, I think I would go again if I get the chance to see a famous matador, because I understood the artistic part of the show. So do we all have a cruel part? Do we enjoy seeing pain and suffering?